I love it when I come home and my hubby tells me he's "not that hungry." Translation: I can make sandwiches and get away with it! 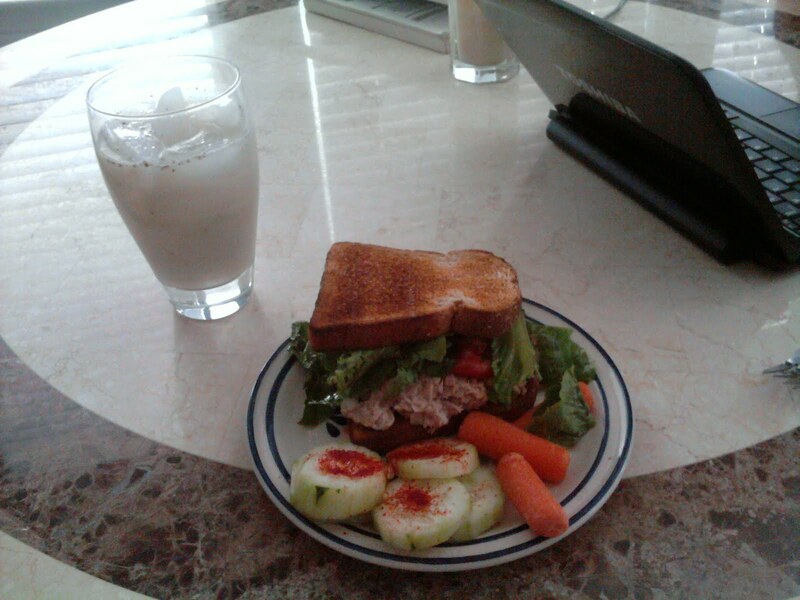 I had planned to make a tuna stir-fry over rice, and instead I went with tuna sandwiches on whole wheat toast. I just chopped some onions and celery, added some ranch dressing and topped it with some of Emeryl's seasoning. Really, the banana water was almost a dessert for me. 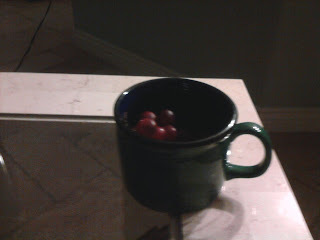 However, I couldn't resist the grapes so I had to have me some of those! Yes, I was so happy I took my nook with me this morning because I had a benefits meeting at work that they advertised for 10, but didn't start until 10:30. I'm going to try to read some more, but Richard and I are watching Bethanny Having a Baby. It's hard to believe that's going to be us in 2-4 weeks. Ahhhh!! !